Apartment pest control introduces an entirely different situation from doing pest control for single-family homes. No matter how clean you keep your apartment, you have no control over pest infestations or the cleanliness of neighboring units. For that very reason, controlling pests in your apartment unit can be even more challenging than in a single-family house. And that’s just the beginning. 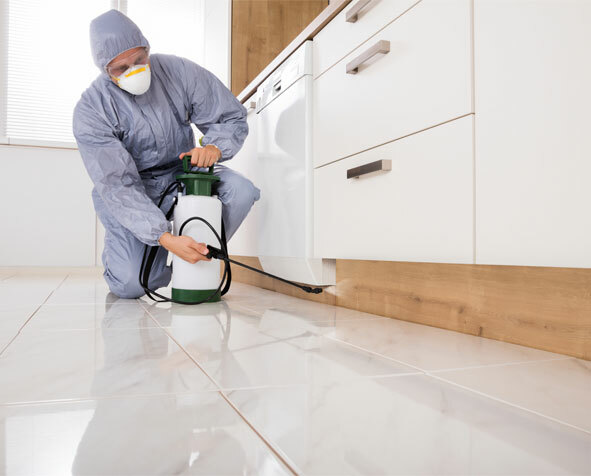 It is best to find out in advance just exactly who is responsible for pest control in your building and whether or not they are obligated to cover both the interior and exterior. Frequently, it is the responsibility of the landlord. But not always. Each of these pests presents their own set of problems, their entrance into your home varies, and each is treated differently regarding how to rid your home of them. IPM or integrated pest management (which concentrates on eliminating pest entry points and breeding areas) is the best method of attack. Control the source of the pest, and you can significantly lessen the numbers and, ultimately, completely solve the best infestation problem. Why Do You Need Apartment Pest Control? Each of the pests listed above is an annoyance at the very least. With many, the possibility of them carrying diseases and spreading them to you and your family becomes a definite reality. Rodents, in particular, are known for carrying and spreading disease. Wasps, whereas they may not be disease carriers, can trigger anaphylactic shock in those suffering from specific allergies. And their sting is extremely painful. Flies, like rodents, have a reputation for spreading diseases. Cockroaches, in addition to just being disgusting, are believed to harbor viruses and be a type of reservoir for any number of bacteria. And bedbugs, which have become extremely problematic in many areas, are high on the list of undesirable pests. Recently it has been discovered that they can transmit certain diseases. Additionally, they can bite, but their bites often go unnoticed. Why Choose PEST for Apartment Pest Control Services? At PEST, we have been operating for more than 30 years, and know exactly how apartment pest control can be carried out effectively. We begin by finding out where the pests are getting into your apartment and where they are breeding. By locating the source of the problem, we can then start to eliminate it. IPM is a preferred method of pest control for a number of reasons, not the least of which is the fact that it requires far less chemical/pesticide use. It is also extremely effective in reducing and eliminating the population of the particular problem pests. PEST understands that no one should have to live with pests of any kind. Pest Elimination Systems Technology, Inc. is your best bet for all types of pest control solutions. We know how important quality pest control can be in making and keeping your apartment a pest free zone. Please call us at 212.945.0868 today to make an appointment or contact us through our website with any questions that you may have.